Even though you might have a good idea of what blogging is, let’s first define it in our own terms. A blog is usually a personal diary which is constantly updated. Using your blog, you can spread your wonderful ideas, share great information and value, and pursue your biggest passions. There are many reasons for which people start blogs; it could be due to their passions, interests, for networking, for fame, and of course, for money. According to WordPress stats, 65.3 million new posts are published every month. That gives us a clue concerning the fast development of the blogging sphere. Because of the fact that there are plenty of concrete examples of people who have succeeded to create a professional career through blogging, more people are being tempted to start their own blogging platform and do the same. If you’re reading this article, you’re probably one of them. 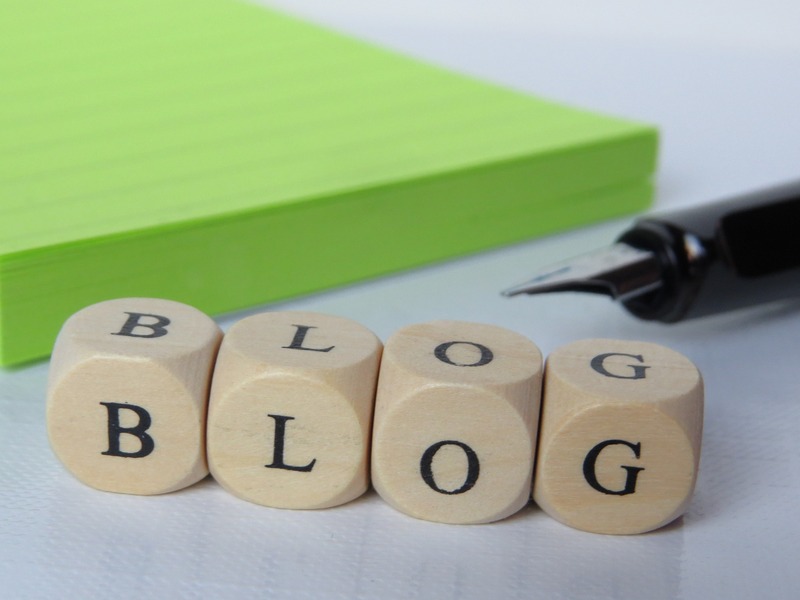 In this article, we are going to analyze a few PROs and CONs of contemporary blogging. You’ll also get a few effective blogging insights and tips that will surely make your blogging life easier. Let’s begin. When you’re passionate about a subject, you become dedicated and therefore an expert in the field. Many individuals could use your advice and follow your lead. If you treat this activity with respect, you can expect to change some people’s lives! When you enter the blogging environment, you’ll find out that there’s more about it than you have previously thought. You’ll get the chance to learn about online marketing: affiliate marketing, e-mail marketing, social media marketing, and so much more. All of these marketing strategies hold a great potential, and you can exploit it the moment you learn the basics. Plenty of people have become popular because their blog has become famous. When your name is featured on a webpage which is read by thousands or maybe even millions of people, your name will definitely become well-known. If you run an offline business, starting a blog can also be a great way to improve its awareness and popularity. The moment you become a blog owner which blog’s being read by a decent number of people, you get the chance to create constructive relationships and connections with people from other spheres of influence. You can meet so many new like-minded people and therefore become a resourceful entrepreneur. Life’s not easy – deal with it. If you’re afraid of putting up the work, there’s no reason to think even further. A blogging career is extremely nice, but it must suit your lifestyle. Starting a blog from nothing takes a lot of effort and persistence. With time, things will become easier, but that doesn’t mean that you can fully automate your blog. Technical issues come and go. They’re usually problems that stay in our way, and they need to go fast. These obstacles will often slow down your activity and make you wonder if you should continue. They often cost money, because if you can’t find the solutions on your own, you must pay someone else who’s better at fixing techy issues. Maybe you run out of money and the investment that you’ve previously made didn’t pay off. This is often a struggle for most of the today’s bloggers. Finding the necessary financial resources is up to each person individually. Each and every successful blog has impeccable and valuable content. The blog posts that they’re providing are giving value to the readers and it’s also written in a professional manner. In case you want to be a blogger but your writing skills aren’t good enough, I’d really suggest outsourcing the content part and focus on the promotion. You can use Australianwritings, an efficient content writing service that has never failed me! Your visitors come and go; after all, that’s why they’re called visitors. If you want to make them more than that, you must create an e-mail list. By offering your blog’s visitors an incentive (a free e-book or exclusive information), you can convince them to become your e-mail subscribers. When you have them on your e-mail list, consistently update them with new content. You can even do affiliate marketing or sell your own products through the e-mails that you keep sending. Social media is king nowadays. Teenagers, adults, and even elders use Facebook in order to communicate, Instagram to share photos, and Twitter to share the live news they just received. This was a general example, there are so much more social media channels that can be used for all types of purposes. A good blog promotion strategy is to create a social media presence. Choose two or three social networks (the ones that suit your business model), and proceed with creating some profile pages. Include information about your blog and business, and start sharing relevant posts. SEO stands for search engine optimization. If you have no idea about this concept, I’d suggest taking a look at this comprehensive guide. Many blog owners and online marketers are considering SEO as one of the best strategies to bring targeted traffic to your own platform. The content you write can also be SEO focused, so the search engines will rank your blog according to how relevant your content is. My opinion is that SEO could truly make your blog successful. The only problem is that there’s a lot of competition, and everyone’s fighting for rankings. Blogging can truly be a great alternative for the traditional career that almost everyone’s going for. Instead of being an employee, you can be your own boss, dictate your own terms, and develop your own goals and standards. Besides that, the possibility of succeeding is not that low! The moment you have succeeded with your blog; the moment you won’t have to worry about money anymore. Correction, you’ll have to worry about how to make more! Jessica Freeman is passionate about content writing and journalism. She finds her calling in making others interested in topics of education, blogging, and marketing developments through her freelance work on content pieces. Blogging can be a great career option. There are many bloggers who are earning good amount of money from blogging. You have mentioned some nice tips here.